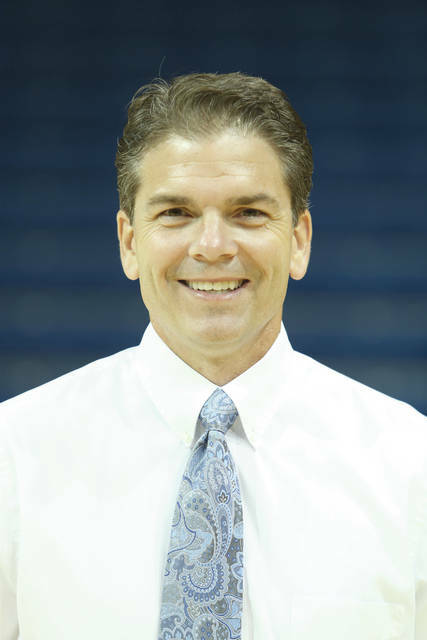 CEDARVILLE — Veteran collegiate women’s volleyball coach Greg Smith is the new head volleyball coach at Cedarville University. Athletic Director Dr. Alan Geist made the announcement June 7 following an extensive search. Smith comes to the Yellow Jackets with more than 20 years of experience at the NCAA Division I level — the last nine as head coach at the University of Toledo. He guided the Rockets to four trips to the Mid-American Conference Tournament and a share of the 2013 MAC West Division title. Additionally, Toledo continued its excellent performance in the classroom under Smith. The Rockets earned the American Volleyball Coaches Association Team Academic Award in each of his nine seasons. Smith, a native of Rochester, Ind., was previously the head coach at Virginia Tech from 2000-‘05 where he was the 2002 Big East Conference Coach of the Year. In between his two stops as a head coach, Smith was the top assistant and recruiting coordinator at Notre Dame from 2006-‘09. He was also an assistant coach at Ohio State (1997-‘99), Hofstra (1995-‘96), and Division II Indianapolis (1994). Smith is a 1990 graduate of Westmont (Calif.) College with a bachelor’s degree in business and economics. He earned another bachelor’s in secondary education from the University of Indianapolis in 1994. Greg and his wife, Erica, have three children.